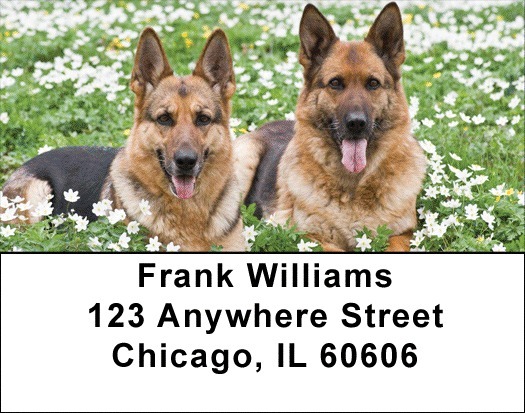 "German Shepherd Address Labels" product is already in your cart. Enjoy these playful German Shepherd Address Labels that depict these lovable pets in playful abandon. Developed in 19th century Germany, the German Shepherd was bred as a working dog, herding animals and are now used in police and military work. German Shepherd Address labels are self adhesive. Matching checks are also available.